Below is the animated procedure on how to create an activity Sportkin with Sportkin Location. This method is the best way for members to get a full insight into your venue including getting directions. If your preferred location is not listed, then add the sporting location to the map. 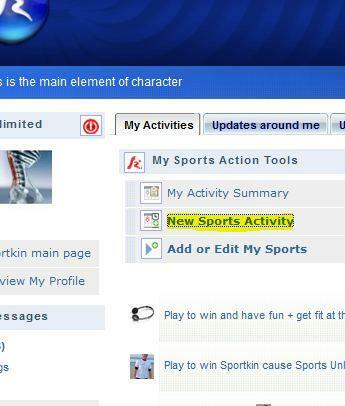 Now let's set the activity by selecting "add Activity"
Members can also create activities via thier home page when logged in to Sportkin. When creating a new sports activity then follow the prompts. When creating a new sports activity then follow the prompts.